Contact lenses are quite an important thing to me especially when I am going out for the day. Personally, they are considered a must-have when I'm out for meetings and events- . For me the plain classic lenses are the norm since my first encounter with contacts, simply because it works great on my eyes, keeping it hydrated and comfortable the whole day. 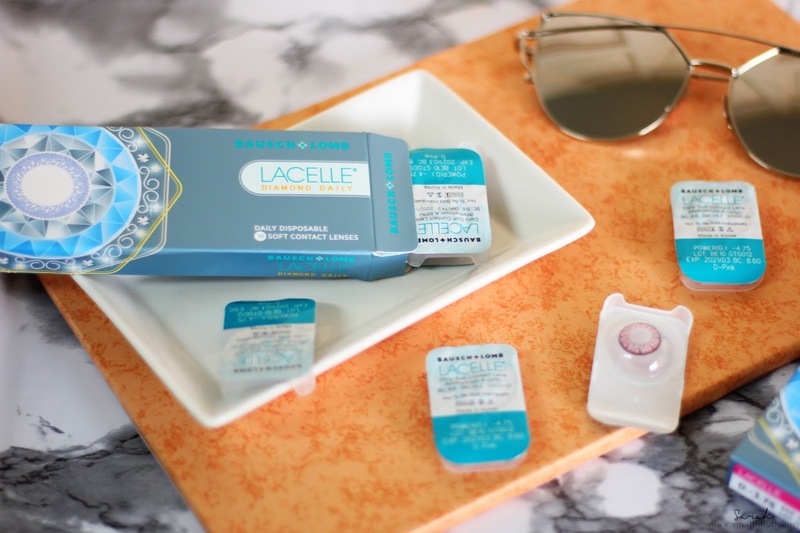 Recently I had a chance to try on a brand new box of Bausch & Lomb LACELLE Diamond Jewel contact lenses lets see if it's worth your time and money. First up, the LACELLE Diamond Jewel contact lenses are pink in color and it comes in an intrigue design to match the patterns of you iris, then there is the extra large black circle around the pink design, creating an illusion of a bigger iris for the wearer. I personally do like the intrigue pink design but not the black circle around it. Don't get me wrong, the design does make my eyes pop, making it the center of attention but at some angles, it literally feels like my eyes are overly dilated due to allergies. The LACELLE Diamond Jewel contact lenses are very comfortable to wear and remove. 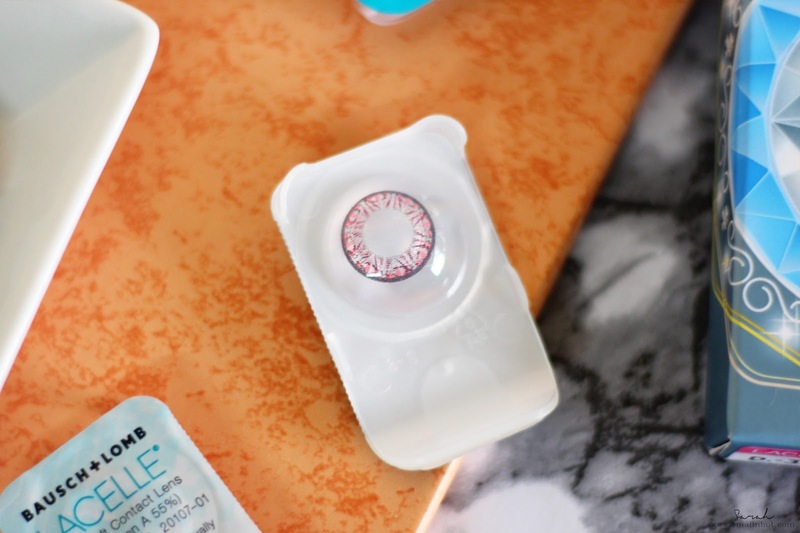 Over all if you are looking for colored contact lenses to spice up your look, is simple and easy to use and comfortable wear.